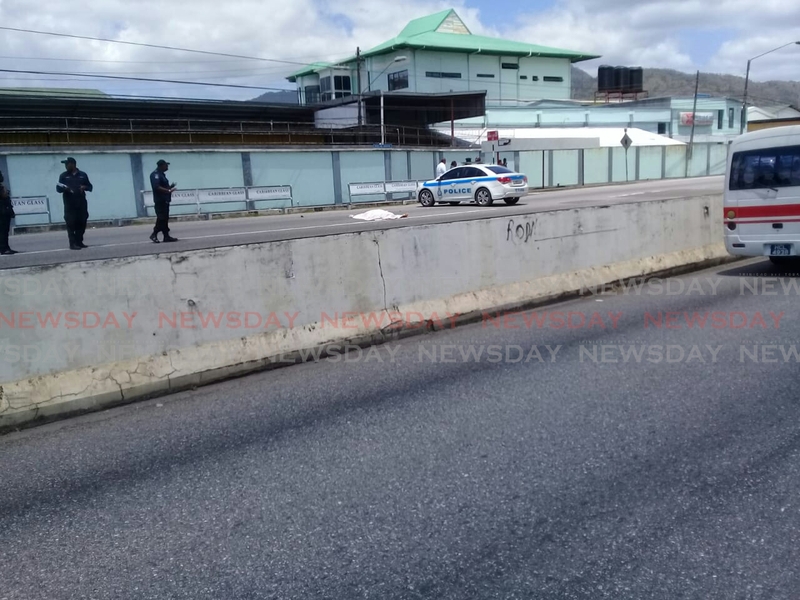 Laurence Smith, the neighbour of 73-year-old retired postal worker Michael Barry, who died when a marked police Rapid Response Unit vehicle knocked him down while he was crossing the Priority Bus Route, near Third Avenue in Barataria, this morning, wants the truth to be revealed on the circumstances surrounding his neighbour's death. Newsday understands Barry, who lived with his ailing brother and sister-in-law, at the family's Locust Hill, Barataria, home, was crossing the road at around 11 am when the police car knocked him down. When Newsday got to the scene, Barry's body was covered with a white sheet and pieces of glass and the police car's fender could be seen scattered across the road. The car, was removed from the scene minutes after the accident happened. Speaking with Newsday, Smith said Barry was a lifelong friend and neighbour and was deeply traumatised after hearing of his death and seeing the body. "I want the truth to come out with what happened here today. They (the police), keep telling us to use the zebra crossing, but when you use the crossing, you could still get knocked down. We need to know the truth about what happened." Newsday also spoke to Barry's sister-in-law, who said her husband Gilbert Barry, was sickly and heard of his brother's death from one of the neighbours. Reply to "Relatives of dead postal worker: We want the truth"